That was my first exposure to him. It's a true classic. I liked it so much I did some internet research on the character. Turns out they applied a heavy coat of poetic license to the story. He was mainly remembered as a cattle thief. Sir Walter Scott. He also wrote Ivanhoe. To be fair, I never watched it. I just couldn't take the books seriously. And to be clear, if you knew my religious background, you'd think I was a huge fan (if you get my drift). Yeah. I'm sure I would. The books were huge in my social circles back in the day. I'll do that. I noticed it's free either on netflix or amazon prime. It will have to be PM. It's religious in nature and I don't think religion is allowed here. yes, a no, no...but you can say if you enjoyed it or not. Taken 1 was perfect...it had it all. I saw that movie a month before my 19 year old daughter left for Germany. Scared the crap outa me. Even though it was 30 years ago, I still think of him as the director in the last Dirty Harry movie. Oatsdad and alexpop like this. At least he didn't do the Nicolas Cage thing. I loved him in Raising Arizona and a couple of others, but he's completely destroyed his brand. It's like he never met a script he didn't like. Apologies if this was posted before. 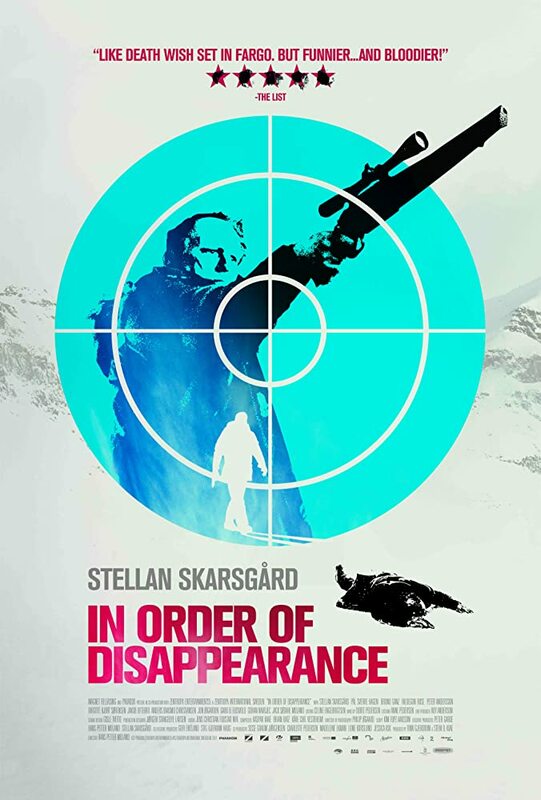 The movie is a remake of In Order of Disappearance, a recent film with the excellent Stellan Skarsgard. I'll see Liam's version of it, but I doubt it can surpass the original. One thing to consider is that the remake was directed by the director of the original version so it may be as good. I love the poster for it. It reminds me of the 70's style like the one for Get Carter. Here is the Variety article about the film. budwhite and alexpop like this. One could argue John Wayne had done that with McQ in 1974. He drives a Camaro, uses a Uzi type weapon and has two younger women wanting to shag him senseless. John Wayne was a badass for a very long time, where Liam Neeson didn't get that until he was eligible for AARP membership. Matthew Tate and Simon A like this. One film I thought he was really good in, albeit in a very different role we would normally see him in, is in Woody Allen's Husbands and Wives. He's not a guy we usually see cast as a nervous, unsure man. His best since The Grey.